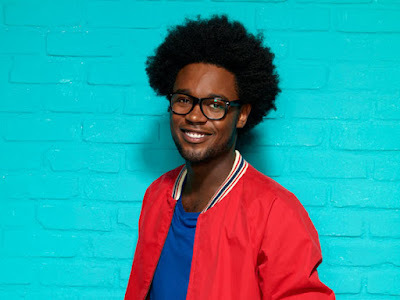 Echo Kellum (Ben and Kate) will play Curtis Holt, aka Mr. Terrific, in a recurring role on the upcoming season of Arrow. A technological savant and inventor, Holt works at Palmer Technologies under Felicity Smoak (Emily Bett Rickards). During the "Warner Bros. Television and DC Entertainment Screening Block" panel last Saturday at the San Diego Comic-Con, executive producer Greg Berlanti revealed Mr. Terrific's addition to the show although no actor had been cast. "He's got to work with Felicity," Berlanti explained. "Our version of Mister Terrific happens to be gay." In the comics, Mr. 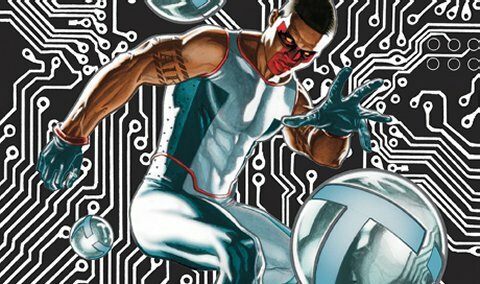 Terrific goes by the name of Michael Holt and is the third smartest man in the world, and the second super-hero to call himself Mister Terrific. He is the successor to Terry Sloane. Despite having no powers, his T-Spheres make him invisible to technology and he is a member of the Justice Society. His genius level intellect and physical aptitude allow Holt to learn things faster than most humans. He may not have super powers but in the comics he holds a black belt in six different martial arts disciplines and is multilingual. He's also an Olympic-level athlete.